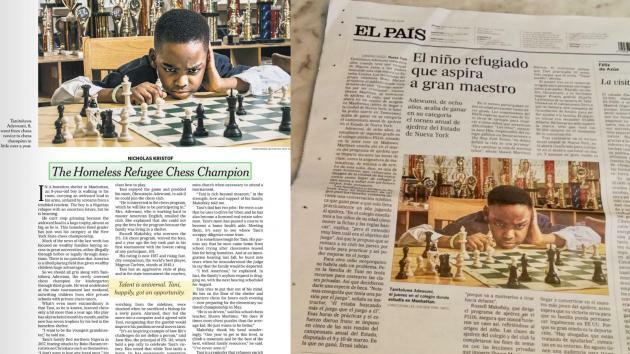 Meet the 8 year old refugee who won New York State’s chess championship « Adafruit Industries – Makers, hackers, artists, designers and engineers! Tani, as he is called by his friends, began attending the local elementary school, P.S. 116 located in Manhattan’s Kips Bay/Murray Hill neighborhood. There, a part-time chess teacher at the school taught him to play. When Tani’s mother Oluwatoyin Adewumi wrote the school that her son was interested in joining the chess club, she had to add that she couldn’t contribute much. The family was living in a homeless shelter.